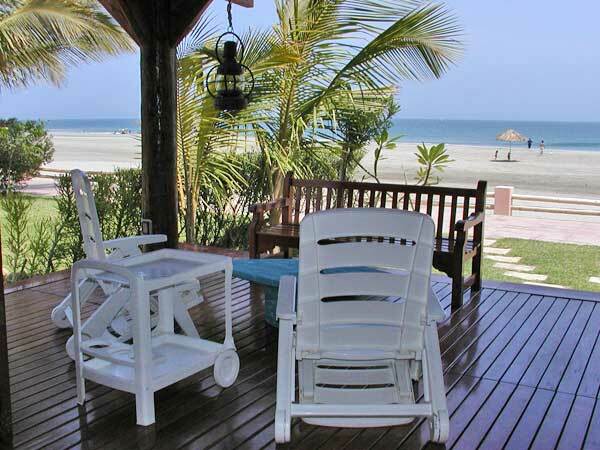 La Caracola de Punta Veleros is a spacious house located at seashore on the private condo know as Punta Veleros, the most beautiful beach of Peru. 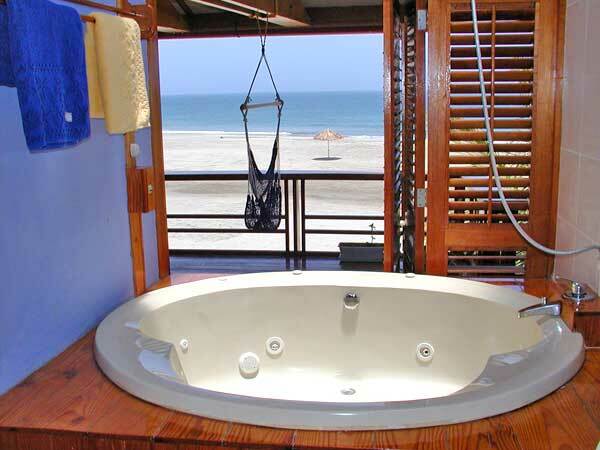 The beach is located at Los Organos, just 12 kms from Mancora, 6 kms from the fishermen village El Ñuro and at 28 kms from Cabo Blanco, on the Peruvian north coast. 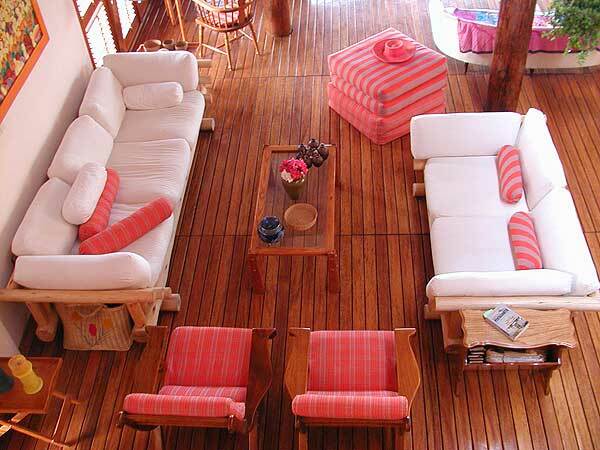 La Caracola de Punta Veleros has a unique and modern architecture style with large internal spacious, high roofs with wood-made blinds that aloud you to control the temperature and freshness inside the house. The food, weather and beach on this zone are one for a kind: a large variety of fresh seafood, dry weather, no humidity and sun all year long with pleasant temperatures, even inside the ocean. Here you will enjoy an unforgettable holidays, an authentic tropical paradise on a place where the sun always shine. At night, you can enjoy an incredible spectacle with full moon and starry sky. 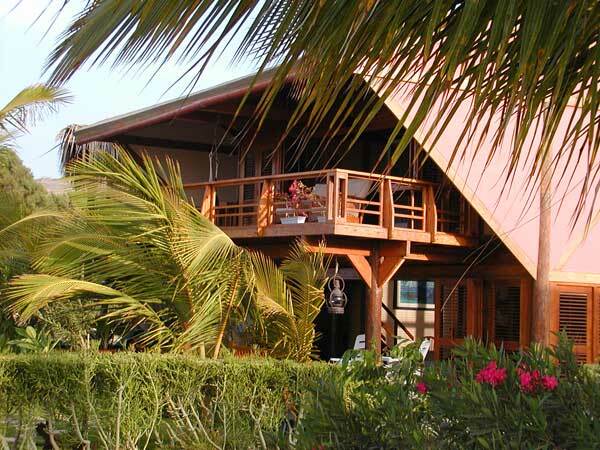 The cozy house has all the modern facilities that you need, a direct entrance to the beach and a beautiful garden with palm trees and a sand deck. 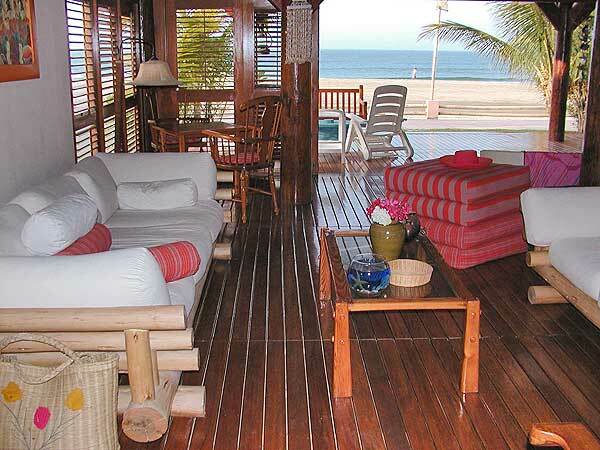 La Caracola de Punta Veleros has a capacity up to 12 people; 5 bedrooms, 5 bathrooms. Lounge and a Dinning room with a table for 12 people. 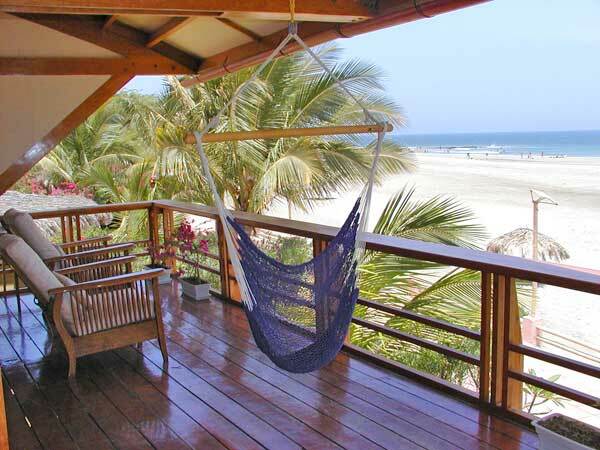 Main terrace with a panoramic view, hammocks and chairs. Double bedroom with queen size bed. Service room with private bathroom with a bunk bed. 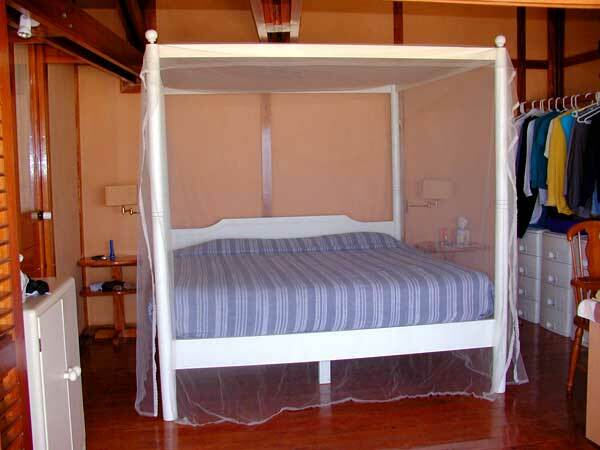 We offer sunshade at the beach, beach chair and tables, two little coolers to take to the beach. 2 wood tables (one a chess table), 2 bar tables with wheels. Two quadruple rooms with a private bathroom each. Main room (suite) with a King size bed, large terrace and bathroom with jacuzzi with an incredible sea view and a transparent roof. The house has electric light (220V) and hot water permanently. For emergencies we have a diesel electrical generator. For your own safety, the house has a guard 24 hrs a day. If you wish, we can help you to contact a cooker to work in the house. The house does not rent for less than 6 days. La Caracola de Punta Veleros is located at two kms from the Panamerican Highway and a few steps away from several surf points that breaks on different times of the year. Also you can practice jogging, kitesurf, high sea fishing and scuba diving. This additional services you can contact them at Organos and Mancora. 1 Here at Punta Veleros we take care about the water. Usually arrives by pipeline to the owner's expense. In the case that truck is neede, is paid by the tenant. Warn when a toilet is leaking. Do not water gardens in season. 2 Getting into the shower without sand. The drainage system is not ready for this. 3 Do not flush the toilet paper. The drainage system is in septic pit. 1 The rent of this house does not work as a hotel. 2 The water pipes should NOT be taken or used for brushing teeth. 3 we reccomend you should have at least two bottles of water plus the large container kitchen, by the tenant. 4 Punta Veleros is a resting place with great privacy, neighbors hope will not have to suffer from noise nuisance. 5 The tenant may hire their own laundry. 6 Treat the house as his own, arranging things at a distance is very laborious and expensive.